A fundamental and fascinating discovery of modern astrophysics consists in the fact that the chemical elements from which the earth and life are built were produced in the cores of massive stars. At the end of their development, these stars explode as so-called supernovae and charge elementary components of future planets as well as life into the surrounding interstellar gas, where new stars and planets can then built up from this material. There is no doubt anymore: Everything is based on stardust. The formation of stardust in galaxies like our milky way is an everyday process. This, combined with the discovery of thousands of planetary systems surrounding other stars, many of them so-called habitable zones, makes it very likely that life exists elsewhere in the universe. Our Earth and our solar system came into being 4.5 billion years ago. After another 5 billion years at the latest, our sun will explode and our solar system and thus probably also mankind will be destroyed. Astronomical observations show that each year somewhere in our milky way a number of stars and planetary systems (perhaps with life on them) cease to exist. In the meantime, however, every year several new stars and planetary systems emerge in other places in the milky way, and thus probably also new life. Humanity is part of this cosmical come-and-go. What are the consequences of these insights of modern astronomy for our view of the world and our notion of man's place in the space? How does this change man's relationship to the earth? How do these findings affect the image of Earth and Space? Which cultural, ethical, and social consequences would the discovery of life in space have? The CAS Research Focus "Stardust" brings together scientists from a wide range of disciplines to discuss these questions. 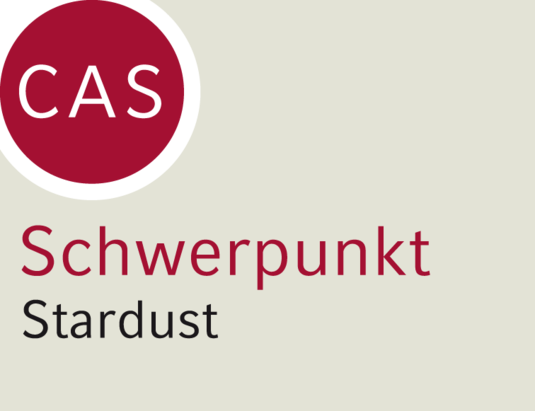 The CAS focus "Stardust" offered one of the various bases from which the Cluster of Excellence "Origins", also with Andreas Burkert as spokesperson, emerged. Please find video recordings of this Research Focus here: CASVideo – Stardust. Panel Discussion with Prof. Dr. Andreas Burkert and Prof. Dr. Harald Lesch – "Urknall – Entstehung allen Seins? " Lecture by Paul B. Rainey, Ph.D. – "Ecological Scaffolding and the Evolution of Individuality"
Internal Workshop – "Unvermeidbarkeit des Lebens"
Lecture Series in the Winter Semester 2018/19 – "The Universe: Scientific Exploration of Space"
Art at CAS – "Ugo Dossi – Stardust/Weltmodelle"
Internal Workshop – "Angelegt? Überlegungen zu Emergenz und Teleologie in Astrophysik und Theologie"
Live Perfomance by Martine-Nicole Rojina and Lecture by Prof. Dr. Andreas Burkert – "Sistermoon – Live Moon Bounce | Moon Talk"
Lecture by Prof. Dr. Alexander C.T. Geppert – "Mirror vs. Wheel: Infrastructures in Earth Orbit and the Technopolitics of Outer Space before Apollo"